Camilla, Duchess of Cornwall, turned up at noon today, after a thorough security sweep, to have a look at Dalston's Eastern Curve Garden. News travel fast - the Garden is playing a key part in the Chelsea Fringe Flower Show.You can read a bit about the Garden's history here. 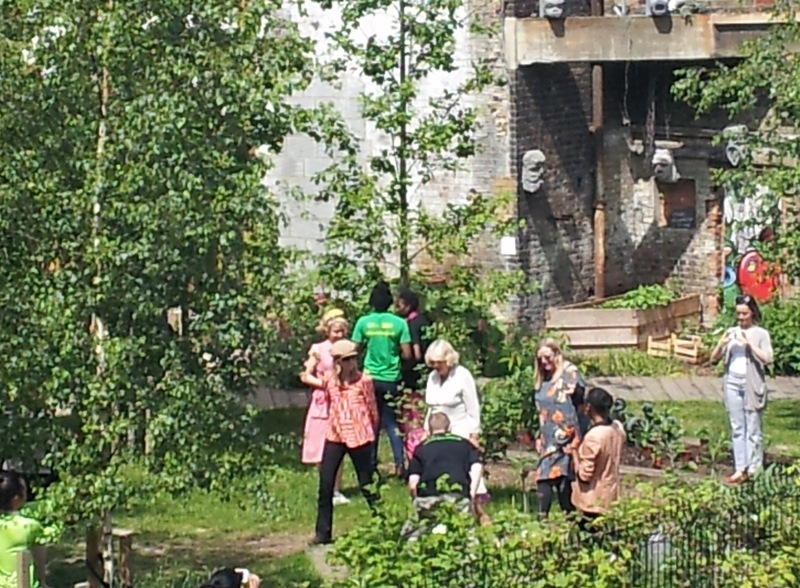 Here is Camilla having a chat with OPEN Dalston's Marie Murray, who tends the garden, and its landscape designer Johanna Gibbons. You can read more about the Eastern Curve Garden events here. 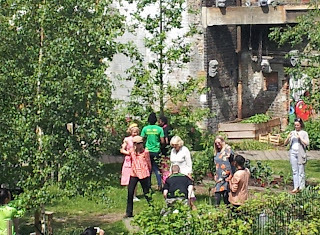 There's no doubt that in times of austerity the Eastern Curve Garden, which is Dalston's only green public space, provides a welcome respite to the thousands who visit Every year. Dalston Flower Show - it's blooming marvellous!